Made in Melbourne and Designed in collaboration with Australian health care practitioners, our series of Back Supports offer a simple steadfast solution to musculoskeletal back pain. Providing superior lumbar support, our adaptable chiropractic Back Supports can be used on any seat to bolster the natural curvature of your spine to reduce and prevent back pain. At Pillows Australia, we are proud to provide our customers with a carefully designed selection of Traditional Foam and Memory Foam back supports created right here at home in Australia. Ideated, created and designed in close collaboration with Australian health care practitioners and Australian families, every single back support we deliver has been specifically produced to highest standards of health and wellbeing sustained the world over. Each and all back supports we supply are precisely designed to conform and shape to the natural spine alignment of the human body, giving long-lasting comfort and support where it is needed most, enriching the health and wellbeing of Australians and people the world over. 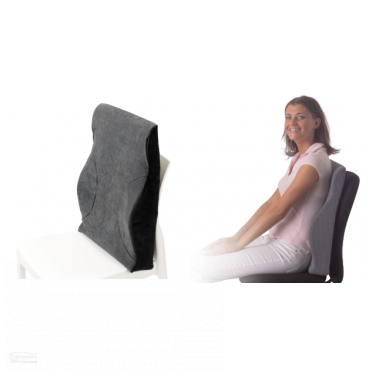 The Traditional and Memory Foam back support series we supply, including the Back Huggar and the Memory Foam Cooling Gel Lumbar & Back Support are all carefully created to give the best comfort and support whilst seated, gently shaping and upholding the natural spine curvature of the body. 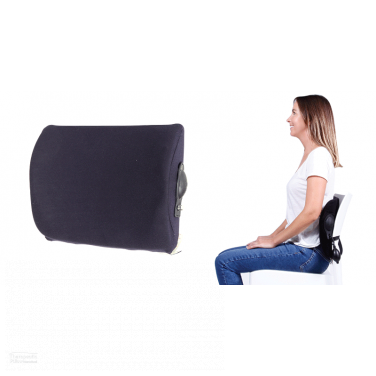 The chiropractic back support range we offer at Pillows Australia provides spine and back pain preventing solutions for individuals of all different shapes and sizes. 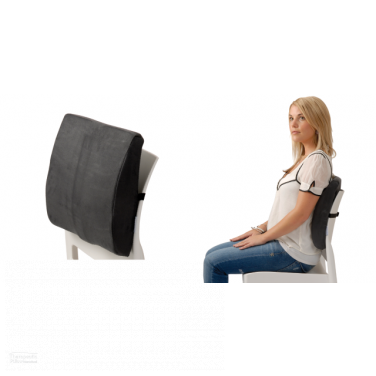 Our dynamically adaptable back supports can be used whilst seated wherever back support and comfort is needed. Whether it is seated during travel, whilst at work or the office, or simply relaxing at home, our back supports provide the best back pain preventing support cushion with the best comfort and support. Our body's are a resplendent marvel of natural resourcefulness and cunning, which passively enables us to experience and venture through our day-to-day lives. 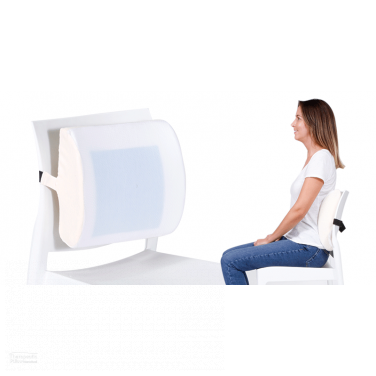 Whilst our body's are strong and capable of extraordinary things , they are fragile vulnerable creations that can often suffer from aches and pains such as back pain, lumbar and spine conditions, sciatica, nerve pain from a slipped disc, neck pain, knee pain, hip pain, shoulder pain and muscle tension with tightness or soreness. Unfortunately, normal daily activities like sitting at the office, exercising and undertaking physical activity, or even simply sleeping in a slightly incorrect position can all make our body's sore and tired. When our body's are tired and put under physical stress it becomes all but impossible to function both physically and mentally at the best possible level. As much as we often do, we should not take our body's for granted. Our main goal at Pillows Australia is to help people find the best support and comfort that their body's need and deserve. 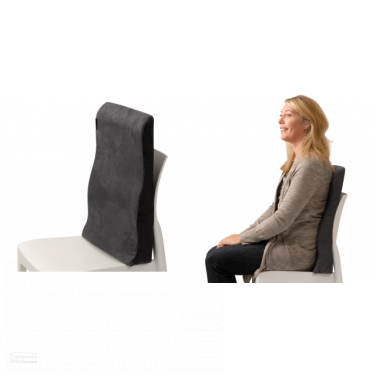 The eclectic selection of chiropractic back supports and back support accessories we supply are all intricately designed to comfortably support the back and natural spine alignment to ensure that our customers have the best back and lumbar support in the best back pain preventing and relieving cushion. Whether it be a regular memory foam back support or a traditional foam back support, our back supports help mitigate upper back pain, lower back pain, lumbar back pain, neck pain, pinched nerve pain, sciatica pain and all spine related conditions. From our Pillows to our Mattress Toppers and of course our Back Supports, the comforting and supportive design of our products enriches the health and well being of Australians and people around the world. Rest Better, Sleep Better, Be Better.